On the agenda today: a picnic of senses to fill your belly. Making your way around the curves of Lake Lure, there are a number of sights, sounds and smells you’ll pass; depending on which season you visit. During the summer you’ll hear the giggling sound of children as they splash into the lake from the water slide at Lake Lure Beach. During fall take in the freshness of the cool mountain air as you’re surrounded by the rich blanket of colors such as crimson red, golden yellow and bright orange that pepper the landscape. Spring welcomes you with the sweet smell of flowers blooming and birds chirping as everyone wakes up from winter. Even winter has it’s own sights and smells which usually consist of holiday lights in the fairy village at Lake Lure Flowering Bridge complemented by the comforting smell of hot apple cider with a little dash of cinnamon. Before you even get to Morse Park, your senses have had quite a treat, but your journey has just begun. Prepare yourself for this vibrant park that will make you feel like you’ve discovered Western North Carolina’s best kept secret. 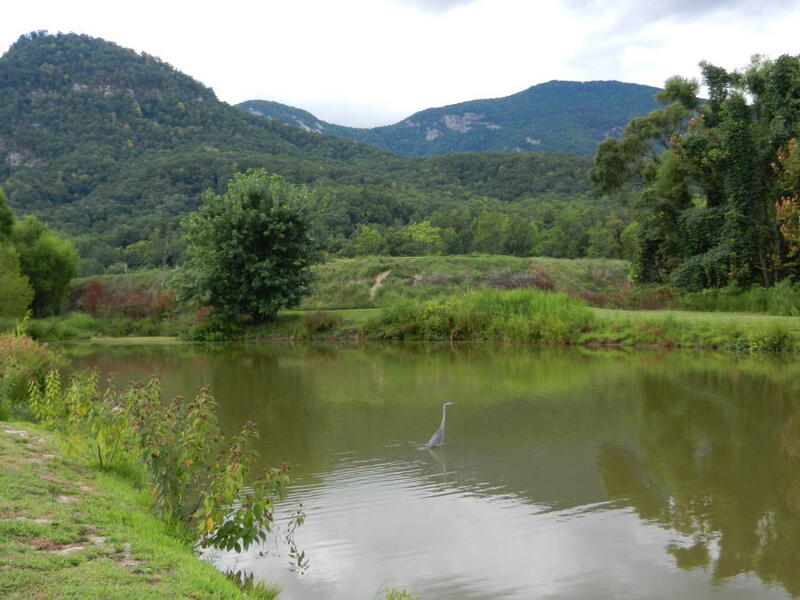 Enter just left of the Lake Lure Marina, park your car, grab your blanket, favorite book, a picnic basket and begin your day surrounded by beautiful mountain vistas and an open meadow. As you take your shoes off to feel the grass beneath your toes, you pause for a moment to notice a father teaching his son how to ride a bicycle. Thinking to yourself, it’s such a great spot to do so because the grass feels incredibly soft. Click…click, you hear a photographer taking pictures of a family that includes their fur baby because dogs are always welcome along the trail. You continue walking till you find the perfect spot for your picnic with spectacular views of the pavilion and the lake. As you dive in, what do you notice around you? Do you see any wildlife? Maybe a curious squirrel or a cluster of lady bugs? What’s the weather like? Is there a cool breeze? What about the scents that surround you like freshly cut grass or blooming wild flowers? Spend some time here and take it all in. Each season offers different views, colors and scents to enjoy. Beautifully landscaped, lush and the smell of a fresh bloom, you must have ventured off to the gardens. Carefully caress the rich and luxurious greenery…not too hard to disturb the plant life, just enough to feel the texture of the leaves and softness of the flowers. If you are visiting in spring or summer you will likely notice a rose bush or two. What other flower or colorful plants do you spot? Is there one that sticks out as your favorite? Maybe you feel inspired to jot down a quick sketch, as this is a very popular spot for area artists to come for inspiration. Looking to your right you see a beaver crossing your path and turtles sunbathing at the lake. Wait…turtles sunbathing? That sounds like a fabulous idea, let’s go over and join them! Laying on the soft grass, what color is the sky? What shapes do you see in the clouds? Close your eyes, what sounds do you hear nearby? Can you identify any of them without looking? Let your self relax, there’s no need to rush. Not only are the turtles taking in some rays, the school of ducks join the party. You remember some breadcrumbs and crackers that are left over from lunch and you happily share with the passing ducks, to their delight. Splash, splash…you look around and notice the kayakers and boats on the water nearby. 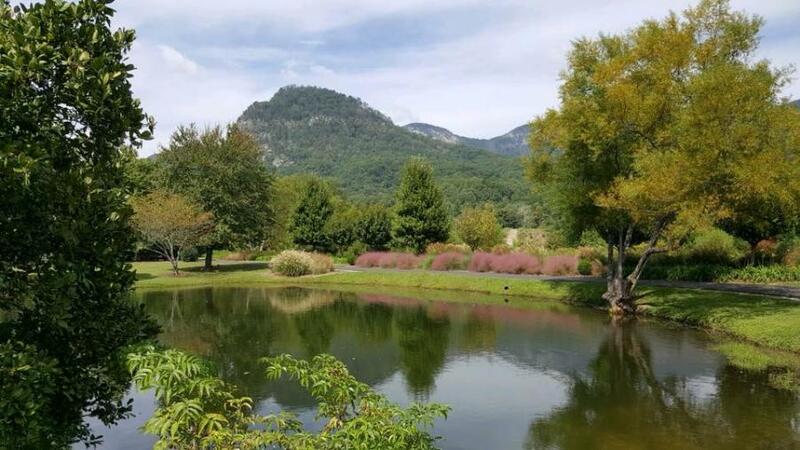 The reflections are gorgeous and you make a note to plan a trip on the water to experience Lake Lure from a different viewpoint on your next outing. What other sights and sounds are in this area? Doesn’t the water look inviting? Maybe just sit on the bank and dip your toes into the water. It is in our nature to be drawn to water, so enjoy your time here. Let go of any stress from the week that has been building up and let the sound of the water moving wash it all away. Walking back to your car you reflect on all the things you experienced today. How does it make you feel? Less stressed? More connected to nature? Sometimes taking time to get away, disconnect from technology and other distractions and completely immerse yourself in all the sights, sounds and smells that surround you is all you need to reset and clear your mind. 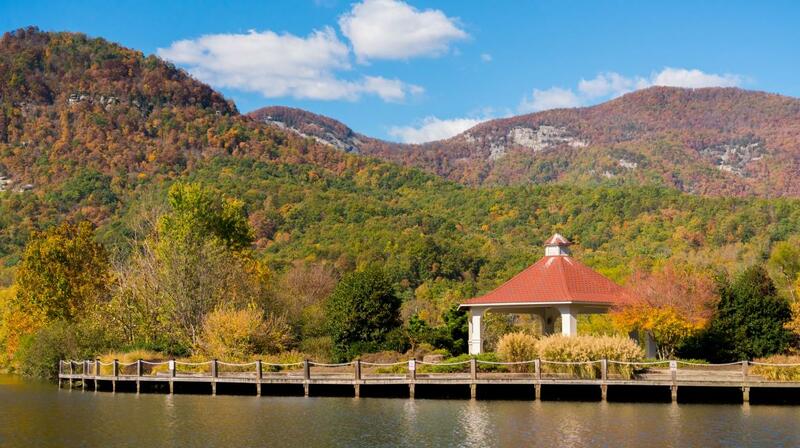 Morse Park is centrally located at 2948 Memorial Hwy in Lake Lure, NC. 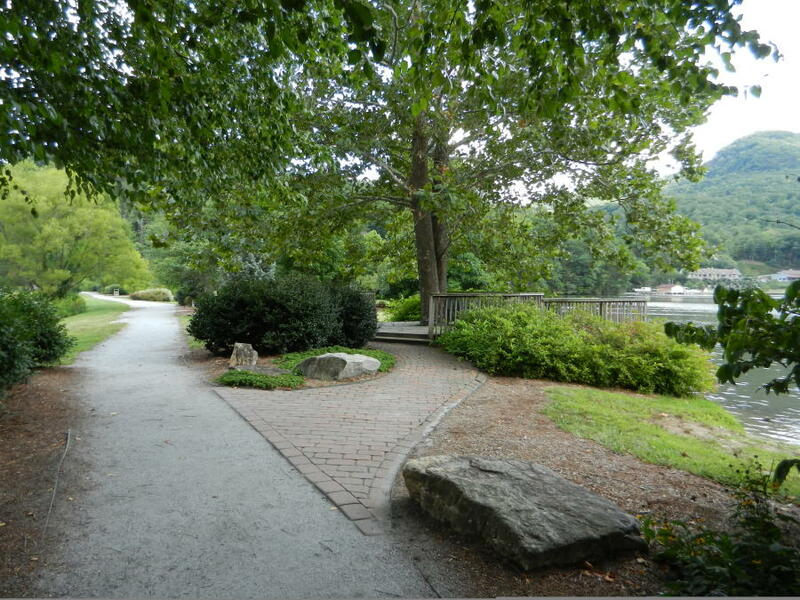 Explore this trail as well as a number of other great things in Lake Lure and the BlueRidge Foothills. Visit our website at www.VisitNCSmallTowns.com to find even more ways to explore.